Step into this beautiful four bedroom Colonial and you will want to make it your own. This well-maintained home in desirable Londonderry is certainly in move-in condition and sure to please. The first floor boasts a front to back living room with a wood burning fireplace now with a soapstone woodstove installed, a generously sized dining room, a Â½ bath and the kitchen with a breakfast bar and French doors leading to the 3 season sunroom overlooking a nicely landscaped back yard. On the second floor are four generously sized bedrooms with hardwood floors in each and a full bath. There is also a mudroom entrance by the garage that leads into the kitchen. 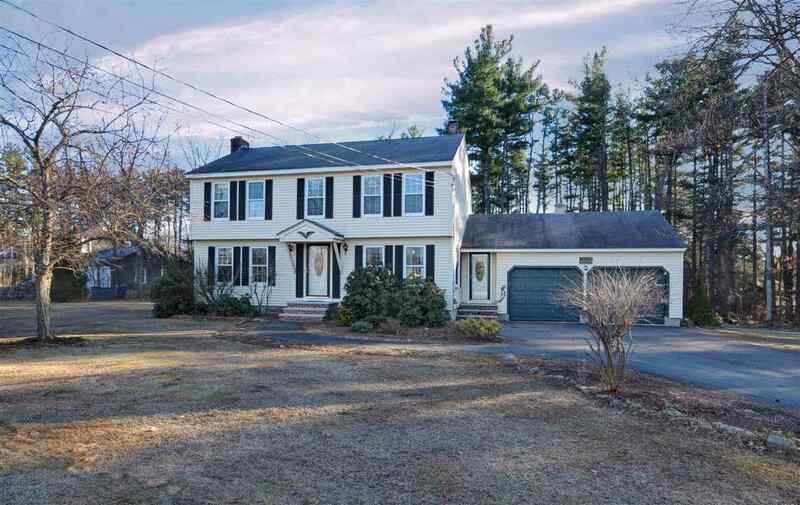 Such a convenient location, a mile from Rt 93 exit 4, makes this home great for commuters or just for accessing Boston, the Seacoast, or the Mountains. Come see this home and make it yours today!